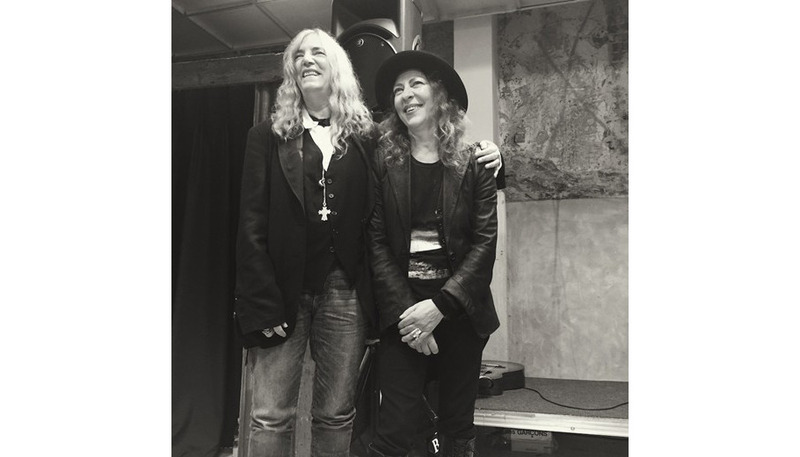 Patti Smith and PJ Harvey made a surprise appearance—and collaborative performance—at Dover Street Market London’s book signing event for deconstructionist pioneer Ann Demuelemeester’s book release. Demuelemeester retired from fashion last November and has since released a book, which showcases a visual history of her label. Patti Smith, PJ Harvey and Ann Demuelemeester are close friends, and it’s only fitting that Patti Smith and PJ Harvey perform their first collaboration at Demuelemeester’s book event. Back in 1975, a sixteen-year-old Demuelemeester bought Patti Smith’s Horses. The iconic album art was shot by Robert Mapplethorpe and featured an androgynous Smith in a white shirt and a black jacket thrown over her shoulder. Demuelemeester’s designs have always been heavily influenced by music, and Smith has been a long-time muse and design influencer for the designer. See a clip from the performance via AnOther Magazine.